Join Us for Our Season Reveal Party! April 18: Join your KSO as we reveal our 99th season! Thursday, April 18 | 5-7:30 p.m. Enjoy light hors d'oeuvres and spirits as you mingle with KSO suporters, musicians, staff, and board members. Our season announcement begins at 6 p.m., as Music Director Julian Kuerti, Resident Conductor Daniel Brier, and our Artists in Residence treat you to a sampling of the season we will experience beginning in September. RSVP by Wednesday, April 10 to Derl Oberlin, Donor Services Manager, at 269.349.7759 x205, or doberlin@kalamazoosymphony.com. A collaboration of KSO and Crescendo Academy of Music, Marvelous Music, is a program that reaches over 600 students in 41 classrooms.  Using the internationally recognized Muisc Together(R) curriculum, the program builds social-emotional skills (active participation, focus, expression) and Kindergarten readiness skills (motor skills, musical aptitude, pre-reading skills) through music and movement. Get to know your orchestra!  Kalamazoo Symphony Orchestra musicians are the heart of our organization.  Learn more about our talented musicians; KSO's Music Director, Julian Kuerti; Resident Conductor, Daniel Brier; and our Music Director Emeritus, Raymond Harvey. We LOVE our community. 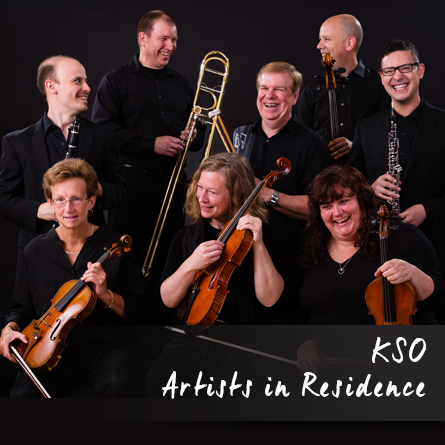 You will find your KSO musicians peforming free public concerts in venues such as Bronson's Garden Atrium, Borgess' Atrium Lobby, First Presbyterian Church of Kalamazoo, Sarkozy Bakery, and Kalamazoo Public Library, and that is just to name a few! We are also excited to bring our beloved Instrument Petting Zoo to many local events throughout the year. Fun for kids of all ages! Check out our Community Events Calendar for a complete calendar of events.  Or click here for a downloadable PDF of KSO ensemble performances. Our 98th season, 2018-2019, will "take note" of great masterworks, with an emphasis on French and female composers, feature famed guest artists, present two blockbuster film concerts and welcome our new music director, Julian Kuerti, to the podium. New this season: you will have additional opportunities to join KSO Artists In Residence for our popular Classics Uncorked chamber concerts. These performances will move to the Judy K. Jolliffe Theatre in downtown Kalamazoo's Epic Center. This intimate and jazzy atmosphere will enhance the experience and an added performance will allow greater access to these consistently sold out concerts. Enjoy wine, dessert and coffee with performances at both 3pm and 8pm with sommelier Ron Merlino's Wine Prelude at 2 & 7. Classics On Tap has moved to Fridays, but remains at Bell's Eccentric Café offering the same repertoire as Saturday's Uncorked concert but with dozens of Bell's delicious beers on tap. Also new this season, immediately after each Symphonic Series concert, remain in the auditorium for "AfterWORDS," an interactive discussion between the conductor, soloist, and audience. Make sure to check out our new subscription options.  The purchase of any three concerts in the season makes you a Create-Your-Own Subscriber -- enjoy preferred seating, worry-free exchanges, and discounts on most tickets.  We hope you will take a few moments to explore our site and learn more about our history, education programs, concert series, our new Music Director and, of course, our talented musicians. 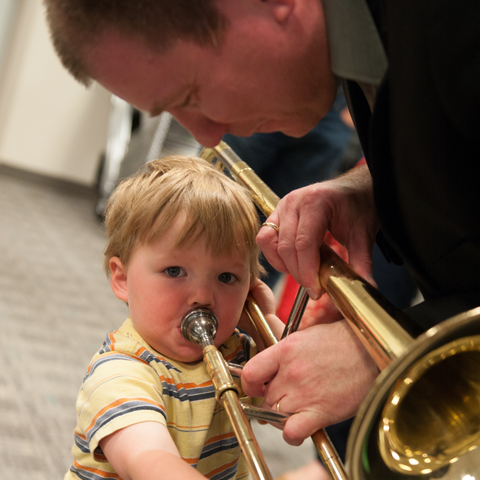 We’re committed to ensuring symphonic music is part of everyday life in our community through outstanding musical listening and learning experiences. We look forward to seeing you in the concert hall!